In Hawaiian mythology, the value of Shark Cartilage is greatly respected. Shark Cartilage is a type of connective tissue composed of mucopolysaccharides, protein substances, calcium, sulfur, and collagen. The cartilage used in this formula is from sharks that are line caught off of the coast of New Zealand. The meat is used as a food source, leaving the collagen available for use as a supplement. Directions: For adults, take one (1) to six (6) capsules daily, preferably with meals. Other Ingredients: Gelatin. Contains <2% of: Silica, Vegetable Magnesium Stearate. Contains fish (shark) ingredients. Shark Cartilage 740mg is rated 4.0 out of 5 by 8. Rated 5 out of 5 by Noemi from Is a great product I like it. Will highly recommend this product . Rated 2 out of 5 by Anonymous from The product is great. I only hope I can find it elsewhere. 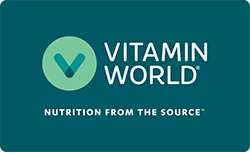 After an 8 year relationship, I won't be doing business with vitamin world anymore if I can find shark cartilage anywhere else. I know I can find Arginine, Niacin and B12 elsewhere. Rated 2 out of 5 by Mamon from Coolio Very Coolio is all I have to say now!!!!! Rated 4 out of 5 by Xcountry211 from Hidden Gem I take shark carilage supplements on and off, and have most noticed benefits when during/after running. While it would be difficult to draw a direct relationship between this product and performance, I take it proactively as part of a general health regimen. Rated 5 out of 5 by Oj from Shark cartilage I'm happy with shark cartilage, being using this product for 10 years.